The world listens to the hot shots and Hyundai is one of them. With the eminent reputation and emerging technology that is being continuously implemented in the upcoming models, Hyundai has already won the hearts of millions. 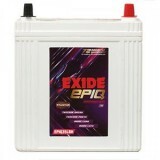 It has launched various energetic cars in the market and still continues to bring more and more. I10 was first launched by the giant manufacturer in South Korea in 2007. The second version came in 2013 and then again one more version was presented in 2014. India has its plant in Chennai. The Hyundai i10 1.1 petrol has a capacity for 5 passengers and has a petrol fuel tank. It is easily maintainable and can be afforded by a common man. As already mentioned, the car is quite cheap. This was specially made so that cars could be easily owned by everyone. It is very easy and cheap to maintain also. 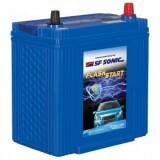 Here at Moxikart.com you can get the Hyundai i10 1.1 petrol car battery online. We cater to bulk orders also. The products are thoroughly checked for quality and we ensure that all the products excel in quality. We also allow for home delivery and cash on delivery. 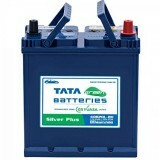 These will accompany an engineer who will help you to fix the battery in your car. He will guide you well as to how you can extend the battery life and use it to its fullest. In case you cannot pay the entire amount in one go, we have the option for EMI. 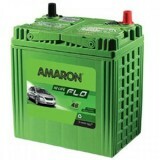 Get the best deals on our car batteries. 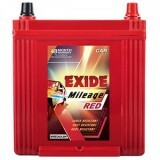 We provide the cheapest and best Hyundai i10 1.1 petrol car batteries online in Delhi, India. Choose us for guarantee of price and quality. We will never let you down.